One of my favorite stories about companies pitching the Angels is about a company with a good idea that eliminated themselves with one phrase. When we asked how the investors would make money, the CEO suggested we ask our financial advisors. For the future benefit of all who may stumble upon this article: that is the wrong answer. 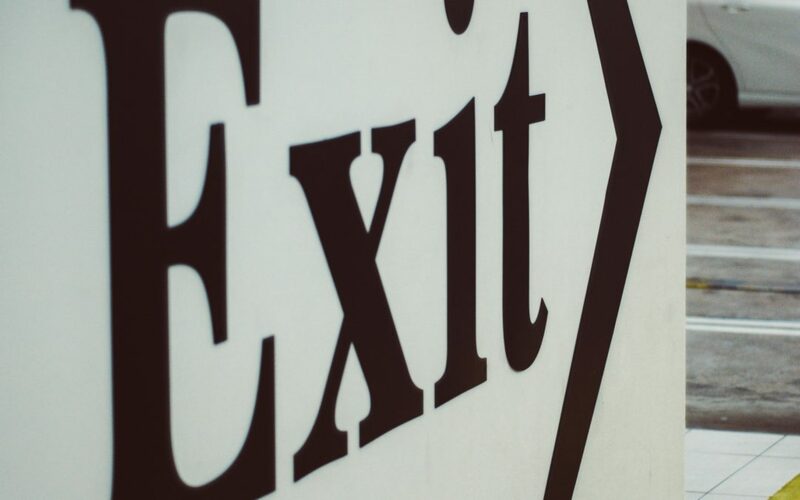 Investors know how they will make their money: through exits. Early stage investors acquire a minority share of the company and rely on the entrepreneurs to deliver growth and entice more investors. Early investors earn a return only when they sell their equity. So they want to see that you can find a buyer. All investors really care about is quick growth and an easy exit, usually within five years. And not just any buyer: they are also looking for a substantial return, 30 times their investment or more. This sounds absurd, but investors are trying to manage a return out of risky investments. Even just considering those companies with the potential to generate a 30 times return, most will fail. Investors want to see that you understand this challenge and are thinking about preparing your company for the sale. Investors want to understand the market for the company, even more so than the market for the product the company makes. The worst possible outcome for an angel investor is when a portfolio company languishes in “lifestyle business” territory – the business operates and stays afloat but is not interesting enough for an exit. Complete failure sounds worse, but at least failure has an end. A lifestyle business bumps along forever. It earns just enough to keep itself in business, maybe with some moderate growth but with no big future. Here is the challenge: entrepreneurs have different incentives. Most entrepreneurs are concerned about earning enough money to survive. Good ones are laser-focused on connecting products and customers and filling a need in the market. They are building and growing and making things work. If you are happy with a lifestyle business, that is fine. It can deliver a good living. However, if you want to raise money think about the exit, right from the beginning. Build the company for the exit. A small step up from no exit strategy is those who “plan” for a public offering. Everybody would love an IPO, that is the best way to turn privately held shares into a marketable asset. However, though everyone wants an IPO, only |a vanishingly small fraction of startups realizes that milestone. The IPO is the Everest of business growth. Many companies start out aiming for the IPO summit, but very few will ever make it. It might happen, and everybody would be happy if it did, but it isn’t a strategy. Instead, look for a logical industry acquirer of the business. These are companies who are already in the space and for whom your solution is either a threat or an extension of their product line. Investors will also love some evidence showing a rate of return or how much similar exits have generated. Identify who will acquire the company. This should be as specific as possible, the more detail, the better. Explain why they would be compelled to acquire. The new product may be a threat or a complement to your target acquirer’s current offering. Give an idea for the price the acquirer may be willing to pay. The price will usually be a multiple of earnings. By showing the growth in earnings and applying a multiple, investors can calculate their expected returns. Provide a timeline for the exit, explaining when it may happen. Show a strategy to deliver the exit. This should explain how the entrepreneur is marketing not just to customers but also to future acquirers, making them aware of the startup’s existence. The clearer and more convincingly you present this exit strategy the easier investors can estimate their returns and invest. Always remember that you are not presenting your cool groundbreaking product – you are offering an investment opportunity in the form of a company. That investment only yields a return when it sells, no matter how attractive the product may be. The one mistake entrepreneurs should never make is to tell investors to consult their financial advisors to understand how they make money. That will definitely inspire investors to keep their checkbooks shut tightly.